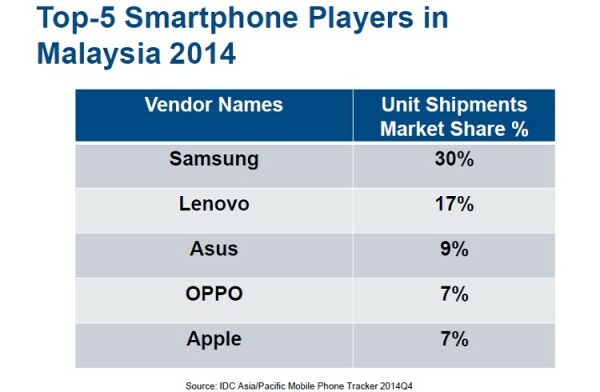 International market research firm IDC foresees the GST having no impact on the Malaysian smartphone market with the industry expected to grow some 27-percent year-on-year in Q4 2014. This stands in stark contrast with the PC market which is expected to decline slightly due to the increased prices, with the PC industry not expected to stabilise until at least 2019. Demand for smartphones has increased sales by 40-percent in 2014, with smartphones out numbering tablets at a ratio of four-to-one. 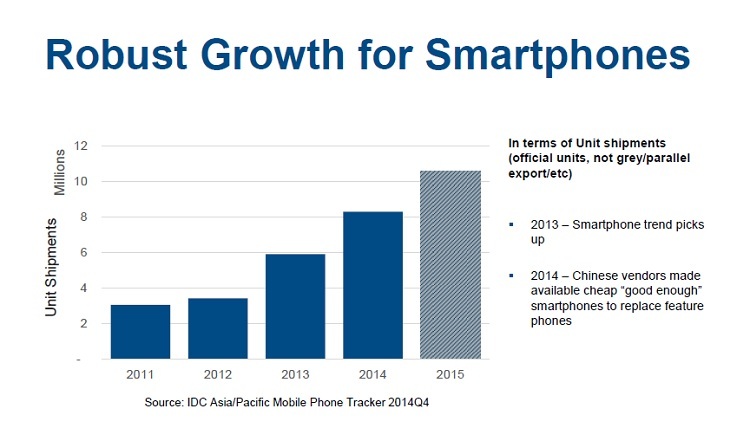 Tablets themselves appear to be in decline with the market declining by about 5.4-percent year-on-year in Q4 2014. The reason for the robust growth in the smartphone market appears to be due to the influx of Chinese vendors who bring aggressive pricing combined with acceptable specifications. The firm notes that this is backed up with the fact that the number of smartphones sold below US$250 (RM917) had doubled in 2014. Other numbers that have been increasing are the average display size, which IDC notes has seen the sale of phablets increase by 68-percent year-on-year. Interestingly, despite the growing preference for large smartphone sizes, tablets have not enjoyed the same success story. An influx of inexpensive tablets for less than US$300 (about RM1100) has not helped the slowing tablet market, although IDC notes that sales for tablets with cellular capabilities has increased 89-percent. 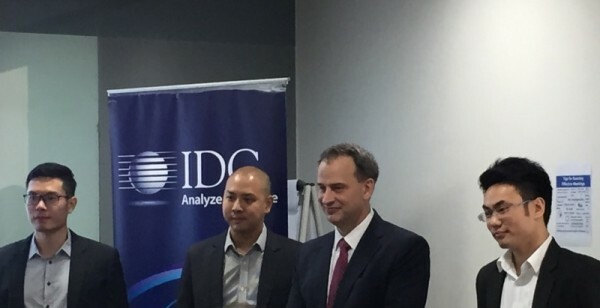 On the front of wearables, IDC expects that only early adopters will continue to fuel the market. There are still questions about whether the devices will bring any value to users. 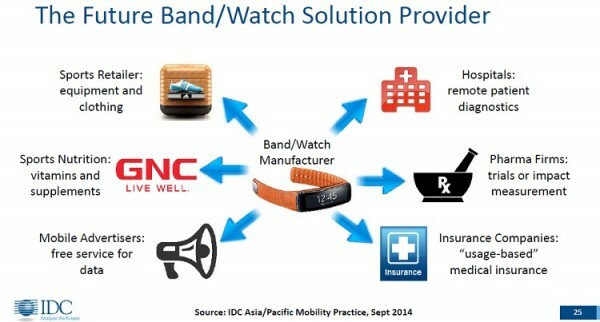 However, there should be an increase in the deployment of wearables by businesses at the case for deploying them in places like hospitals, insurance companies, and large manufacturers is growing. It is in these sectors that wearables will likely see the most growth in the near future. Finally, IDC expects the GST to have a positive effect on the Malaysian economy as it will boost the government’s spending power. However, the analysts note that countries which implement GST record inflation rates of about 2- to 3-percent, although matters should start to normalise fairly quickly. Daniel Pang, Senior Research Manager, ASEAN Client Devices, IDC Malaysia, notes that consumer spending on electronics has been quite resilient in Malaysia over the recent period of economic challenges and international device vendors continue to see Malaysia as an important market within Southeast Asia. IDC sees a minimal impact on consumer spending on electronics post-GST implementation.